I could not be more excited to announce the next episode of Foodprint Project, the roving conversation series about food and the city that I co-curate with Sarah Rich. On December 9, 2012, we’ll be bringing Foodprint to LA, one of my favourite cities in the world, thanks to our generous hosts at the Los Angeles County Museum of Art (LACMA) and our wonderfully patient Kickstarter supporters. 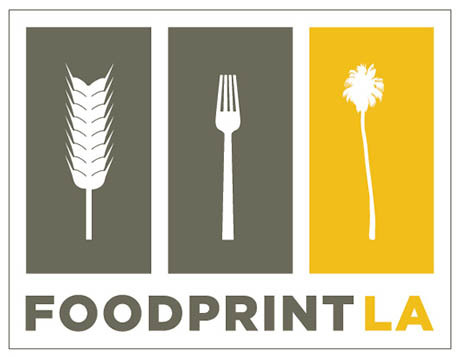 IMAGE: The Foodprint LA logo was designed by Nikki Hiatt. For Foodprint LA, the fourth in our international series, we’ll be following the same basic recipe as at Foodprint NYC and Foodprint Toronto — four panels that explore the forces that shape the city’s food and speculate on how to feed Los Angeles in the future — which has the added benefit of allowing us to draw comparisons and conclusions across three very different cities. And, as at our previous events, we have a fantastic line-up of panelists and guest moderators. Geoff Manaugh of BLDGBLOG will kick off the day at 12:30 p.m. in LACMA’s Brown Auditorium with a conversation between Paula Daniels, Mayor Villaraigosa’s Senior Adviser on Food Policy and Special Water Projects, Hadley Arnold, co-director of the Arid Lands Institute, journalist Nate Berg, RAND researcher Dr. Deborah Cohen, and urban investment expert Rudy Espinoza. 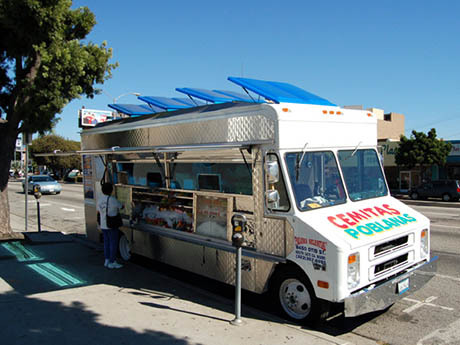 IMAGE: As documented by Ted Kane on Polar Inertia, an estimated 4,000 registered mobile restaurants, “or what the LA county department of health services calls Mobile Food Preparation Units (MFPU),” can be found on the streets of Los Angeles every day, where they are accompanied by at least 2,000 more unregistered, illegal mobile food vendors. Photo: Polar Inertia. From the ways in which designers can help rethink the endless water wars between California’s farmland and cities, to the relative merits of fruit cart micro-loans and junk food regulation in combating obesity, this Zoning Diet panel will explore the ways infrastructure, policy, and economics shape the city’s food systems. 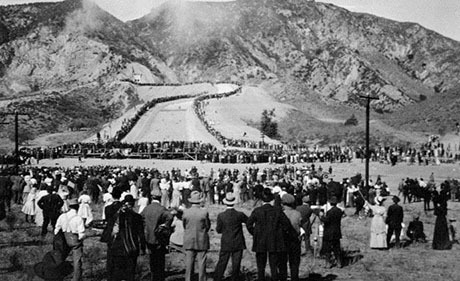 IMAGE: Crowds watch as the LA aqueduct is opened on November 5, 1913. Photo via Water and Power Associates. I’ll be moderating our second panel, Culinary Cartography, and I’m looking forward to learning about how the city’s sprawl has translated into delicious pockets of regional ethnic cuisine, how citizen-led food and bike mapping efforts are taking shape in South LA, and what we can learn when we analyse the geography of the city’s community gardens, diet-related diseases, and food deserts. To that end, I’ll be joined by legendary food critic Jonathan Gold, civic media strategist and participatory mapper Benjamin Stokes, Mary Lee of social equity research and action institute PolicyLink, and Teague Weybright, current board president of the Los Angeles Community Garden Council. 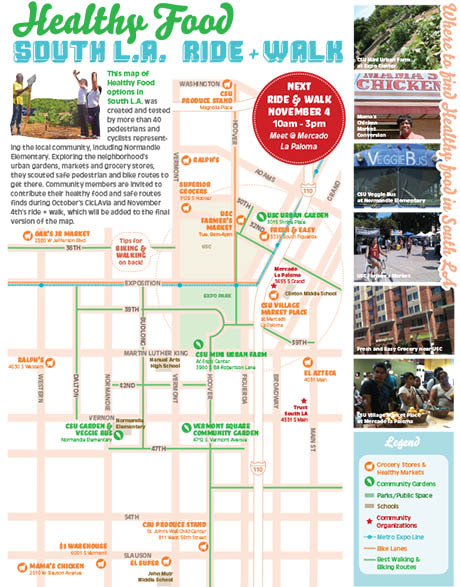 IMAGE: Community-created Healthy Food Map for South LA, via Benjamin Stokes. Download a larger PDF here. Our third panel, Edible Archaeology, looks at the way the past has shaped LA’s current foodscape — and might inspire its future. As recently as the 1950s, Los Angeles county was the largest agricultural producer in the nation, but a boom kickstarted by wartime military production and postwar migration replaced the city’s orchards and wheat fields with the nation’s first drive-through market and countless mini-mall restaurants boasting the unbeatable combination of Chinese food and donuts. 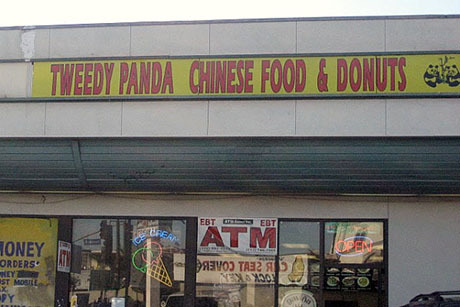 IMAGE: Tweedy Panda Chinese Food and Donuts on Washington Boulevard in LA. Photo by Katie Robbins, to accompany her article exploring the mysterious pairing. Judith Gerber, better known as “LA Farm Girl,” Willy Blackmore, the Los Angeles editor of Tasting Table, Matt Novak of Paleofuture, artist Jessica Rath, and taco historian Gustavo Arellano will help Sarah Rich uncover overlooked traces and contemporary revivals of Los Angeles’ agricultural past, explore some of the ways that sci-fi movies of the past have imagined the food of the future, and even examine backyard fruit trees as a bridge to the history of human apple design and preservation. 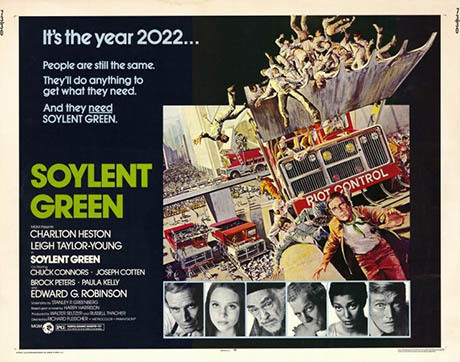 IMAGE: Soylent Green poster (1973). 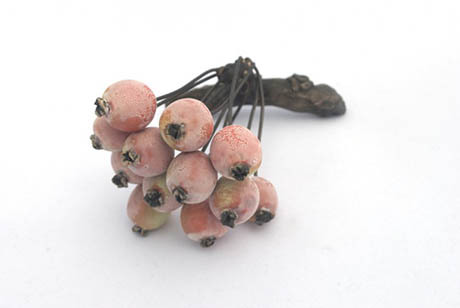 IMAGE: PI 588933.12 (unnamed cluster), sculpture by Jessica Rath. Finally, we’ll be ending the day’s discussion with a speculative look at the future of food: Feast, Famine, and Other Scenarios. The Atlantic’s Alexis Madrigal will be gathering a uniquely Angeleno perspective onto the opportunities — and challenges — of technologies such as synthetic biology, robotic harvesting, and vertical farming. 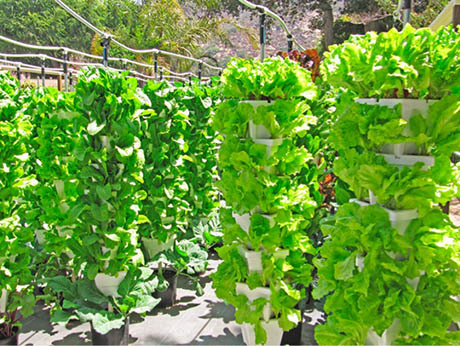 IMAGE: Verti-Gro system at Erik Cutter’s Alegría Fresh (the same system is used at Walt Disney World’s Epcot Center). His panelists include Christina Agapakis, a scientist whose research looks at the structure, evolution and design of the microbial communities that help us to produce and digest our food, Erik Cutter, the entrepreneur behind a new vertical farming start-up in Laguna Beach, Allison Carruth, a scholar of food culture and art-science collaboration, and Joseph Wickham, who has recently developed a prototype self-navigating strawberry harvesting robot. 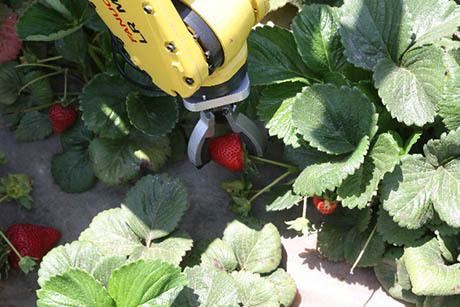 IMAGE: Robotic Strawberry Harvester, via Robotic Harvesting, LLC. In other words, I’m quietly confident that it will be an absolutely fantastic afternoon of conversation and ideas, and it’s also completely free (although seating is limited, so I’d advise arriving promptly). You can find more details at our website, but to stay up-to-date as we release details about additional program elements (such as the foodscape walking tour we’re partnering with the awesome Alissa Walker to put together on Saturday, December 8), please join the Foodprint Project mailing list and follow us on Twitter. If you have ideas, suggestions, questions, or offers of help and/or sponsorship, feel free to leave a comment or email me directly — I’d be more than happy to hear from you. You can also download our press release here: we’d love your help in spreading the word. See you in LA! We owe a huge thanks to LACMA, our host for the afternoon, and to Jose Blondet, LACMA’s curator of special initiatives, who has been incredibly helpful in coordinating the day’s events. We’re also extremely appreciative of the time our panelists and guest moderators are generously sharing with us, and for all of our Kickstarter supporters, whose pledges kept us motivated to put Foodprint LA together.